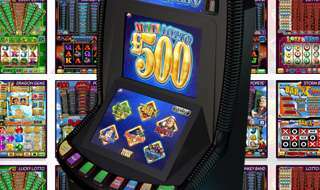 Where should pub fruit machines be placed? Hiring pub fruit machines should be more than just a ‘yes’ or ‘no’ decision – if you want to make the most profit from them, you need to decide where your pub fruit machines should be placed on your premises, too. If you have two or three fruit machines, for instance, do you dot them around so punters in different parts of your pub can get to one quickly, or place them close together so more seasoned players can move from machine to machine? Each method has its own merits, and it might be worth taking a close look at your existing customers so that when you first look into hiring pub fruit machines, you have an idea of the kind of player you expect to be catering for. One near-universal truth though, is that pub fruit machines should be placed where they are visible, close to a common thoroughfare – such as on the way to the toilets – so plenty of people pass close by them. At the same time, it should go without saying that you do not want to cause an obstruction, and definitely should never hamper a fire escape route.